An officially recognized society of Muslim police officers in the New York Police Department are championing the Muslim boy who is accusing Texas police of racism because they questioned him about his clock-in-a-box that he showed to school teachers. 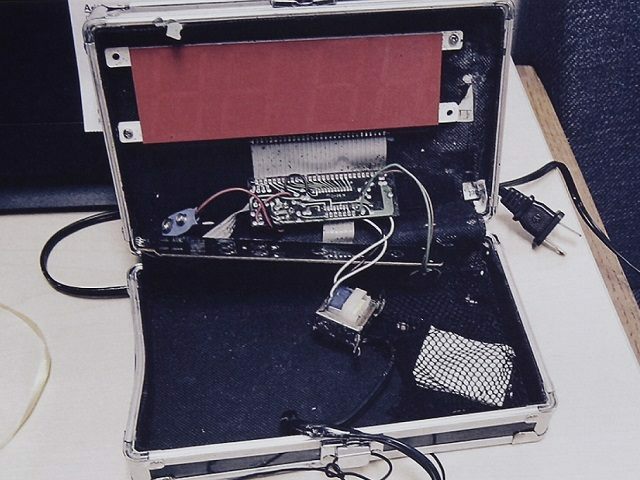 The Texas police suspected the jury-rigged clock-in-a-box was a hoax-bomb, not an actual bomb. 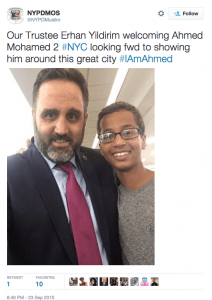 Two days after the Sept. 14 incident, the Islamic cleric for the NYPD Muslim Officers Society, Khalid Latif, tweeted out a message saying the cops detained the boy, Ahmed Mohamed, because of racism and anti-Islamic views. 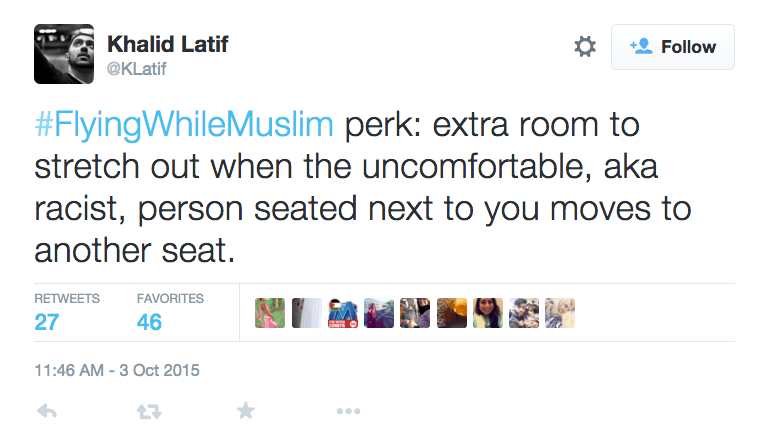 The same day that Latif sent out his accusations, the society invited the boy to New York. Breitbart spoke to the society’s president, Lt. Adeel Rana. “We didn’t make any comments” about the boy or his travels to New York, Rana said, even though the group’s twitter account sent out over than 15 tweets touting the boy during his September trip to New York. “We don’t have any more information,” he told Breitbart News. 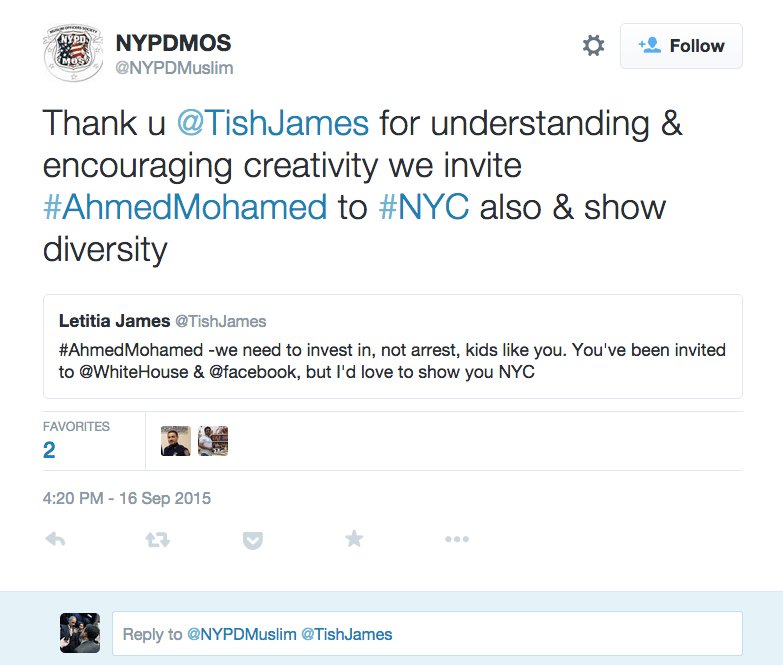 Ahmed’s anti-cop advocacy “is beside the point.” Rana said before ending the conversation. 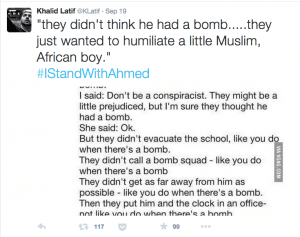 The group’s Twitter account also portrayed the boy’s Muslim father in a flattering light, even though his child was suspected by Texas cops of bringing a hoax-bomb into the school. The father is a political activist, has run for elected office in Sudan, has run two political websites and has suggested that the Muslim 9/11 atrocity was wrongly blamed on Muslims. 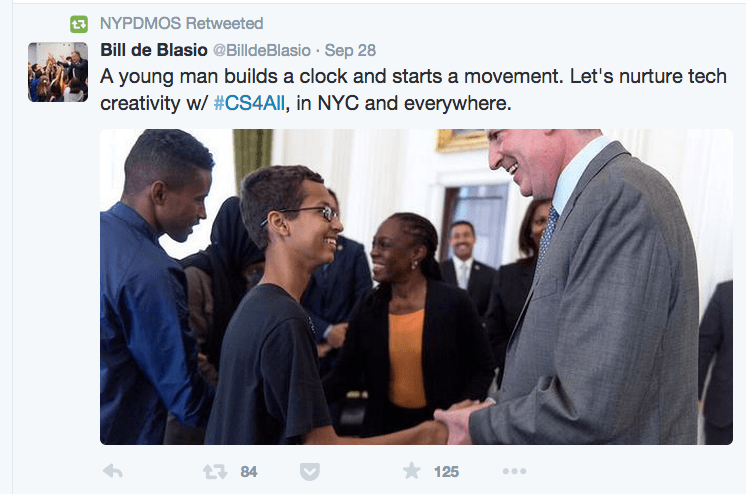 Through September and October, the group’s twitter linked five times with the hashtag #IStandWithAhmed and 16 times with with@IStandWithAhmed. The youth’s clock apparatus, which he described as an “invention,” was extracted from a commercial clock and then stuffed into a metal-looking school box. The clock’s face could not been seen when the case was closed. 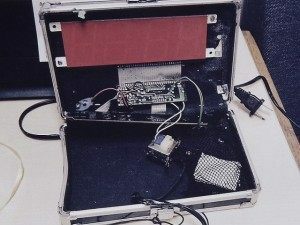 If the case was opened, the dismantled clock’s unshielded 110-volt transformer was hazardous to anyone who put their hands inside the clock-box. 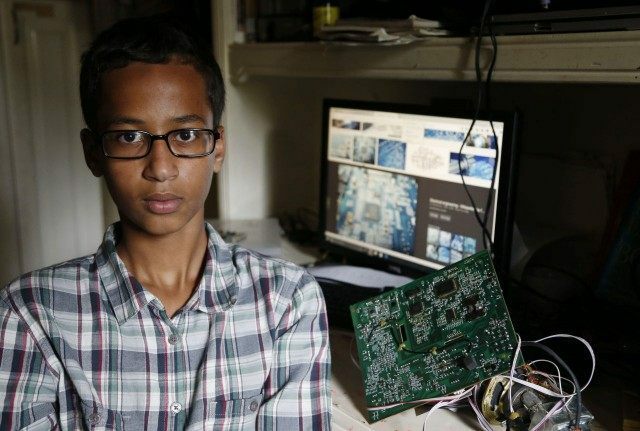 The boy brought his clock to school; a teacher told him to not to display it, but when he showed it to another teacher, that teacher called the police. The boy admitted later that that the clock-in-a-box would raise suspicions. “I didn’t want to lock it [closed] to make it seem like a threat, so I used a simple cable [around the box] so it won’t look that much suspicious,” he said on video. The police reacted skeptically because the clock-in-a-box did not seem like a school-related project. Also, police are on alert for shootings or disruptions in schools. They’re also on alert for jihad attacks. The youth brought the apparent hoax-bomb to school just four months after two Muslims tried to machine-gun an art exhibition in nearby Garland, Texas. The two Muslim gunmen were successfully killed by guards, who were hired in the correct expectation that Islamic tenets would prompt a few Muslims to attack the guests at the exhibition. When the youth did travel up to New York, he left his crude clock-in-a-box with the police department in Irving rather than show his embarrassingly simple device to his allies. He also did not take the clock-in-a-box with him when he flew in late October to Qatar, Saudi Arabia and the Sudan. Since the arrest, the youth has repeatedly smeared Irving’s cops and teachers as bigots. On Sept. 17, he said was detained “because I’m Muslim,” during an interview on the al Jazeera network, just three days after the incident. Al Jazeera is a widely viewed, pro-Islamist TV network by run the autocratic leader of Qatar. “There is a lot of stereotypes [sic] for people who are foreigners and [when] they have Muslim names… names mainly in Islam… no this would not have happened to any of my classmates,” the youth said. Irving officials “should apologize,” he said. Throughout his New York trip, the boy repeated his charge that the Irving police were guilty of “racism” and anti-Islamic attitudes. “My dream is to raise consciousness against racism and discrimination,” he said at a New York press event with Turkey’s Islamist Prime Minister Ahmet Davutoğlu, according to an article in the Turkish newspaper, HurriyetDailyNews.com. The boy’s father is also using the controversy to advance himself in Sudanese politics, both in the United States and in Sudan. He has twice run for office in his home country of Sudan, and recently posted a claim on his Arabic-language website that the controversy will help Islam spread in the United States. “American society has come to live in fear of all that is Muslim or black due to the state-controlled media. And I would add: It is a fear that will turn into confidence in all that is Muslim, because what the American media present is nothing more than a lie that has no relation to reality. This will lead to the spread of Islam,” says the claim he posted, and likely wrote. 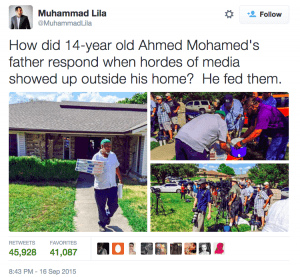 The Muslim society’s decision to defend the Muslim youth and to smear the Texas police is unusual. Other police groups defend or condemn officers regardless of religious or political affiliation. 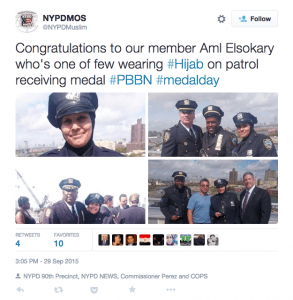 For example, the NY Patrolmen’s Benevolent Association aggressively defended a Muslim officer involved in a controversial 2013 street shooting with an armed suspect. The police officer, Mourad Mourad, was investigated for the March 2013 shooting. During the investigation, the Patrolmen’s Benevolent Association gave him an award in November 2013 for the shooting. The Muslim society also awarded him its annual “Cop of the Year” award, while various self-described civil rights” groups objected to the award. The cop was cleared of wrongdoing in July 2014. 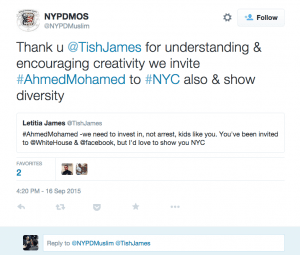 None of the tweets from Latif or his NYPD Muslim society questioned the Muslim boy’s incendiary and hateful comments about the professional police and teachers in Texas. Latif, the cleric for the MOS, is a controversial figure. In 2007, he used an indirect threat of violence to censor an art display of cartoons at New York University. The cartoons showed Islam’s reputed founder, Muhammad, “in a highly offensive manner,” Latif wrote to the university’s president. “I am asking you to not allow these cartoons to be displayed in any shape or form,” he said. “The pictures themselves are just hatred and there is really no justification in preaching something that breeds that kind of hate… the repercussions that would take place outside of the university setting are potentially huge,” Latif said, as if Muslims are unable to control themselves when criticized. Latif’s tactics worked — the university president buckled and censored the art exhibition. Latif also backs the claim pushed by the Texas youth — and many by Islamist and American progressives — that discomfort with Islam’s ideas is somehow “racist.” That verbal pirouette is intended to smear people who object to Islamic ideas — such as beheadings or the murder of gays — as similar to people who join the KKK. In reality, many people oppose Islam for civilized, intellectual and moral reasons, because Islam’s religious texts oppose free-speech, artistic freedom and democracy. That’s because the goal of Islam — like American progressivism — is to create a government-directed Heaven on Earth. Orthodox Islam endorses murder and war — for example, the 9/11 atrocity — to spread Islam. They also mandate an un-American apartheid-like theocratic society where male Muslims dominate women, and where subservient Christians, Jews and other non-Muslims must pay special taxes. Despite his advocacy for Islamic norms, Latif was invited to join Pope Francis for a 9/11 commemoration in New York. In a later description of the event, Latif downplayed the Pope’s rival religious beliefs, and portrayed him as a political figure. “Where governmental apparatus at times unfortunately fails, people of faith, people like Pope Francis, can play a pivotal role in challenging the social injustice and disparity so prevalent throughout the world,” Latif wrote. 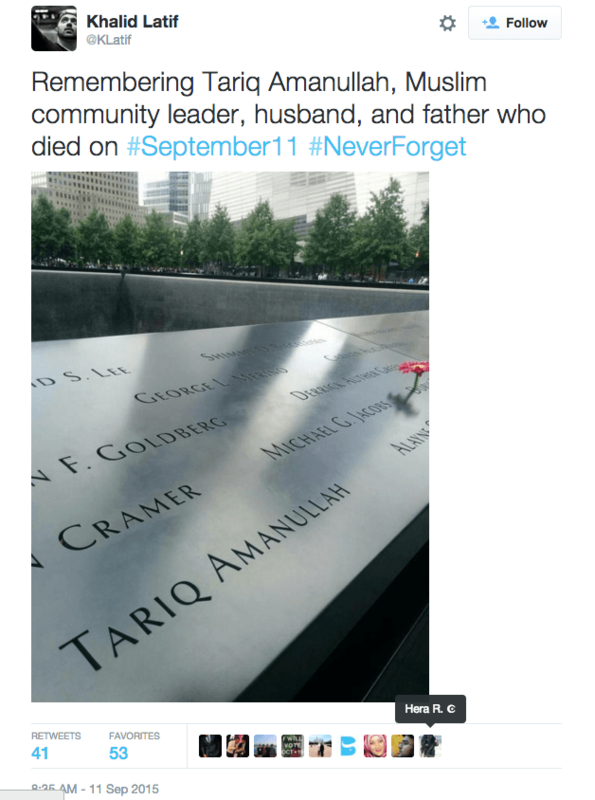 On Sept. 11, 2015, Latif tweeted out two messages about the 9/11 attack by the 19 Muslims on the Twin Towers that killed 2,976 Americans. But his two tweets highlighted just two of the victims — two Muslims killed by the Muslim attack — and they did not mention the 71 cops who were killed by Latif’s 19 co-religionists. 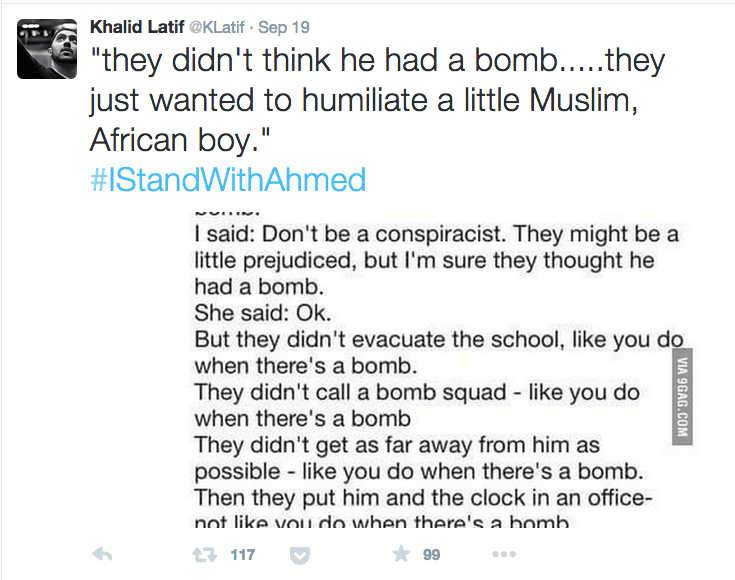 The day before, on Sept. 10, Latif did make sure to tweet out the image of one non-Muslim victim. 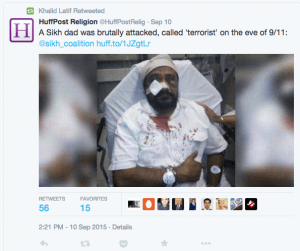 But the image was of a immigrant person in Illinois who embraces the Sikh religion, and who said he was punched Sept. 8 while driving to a store. 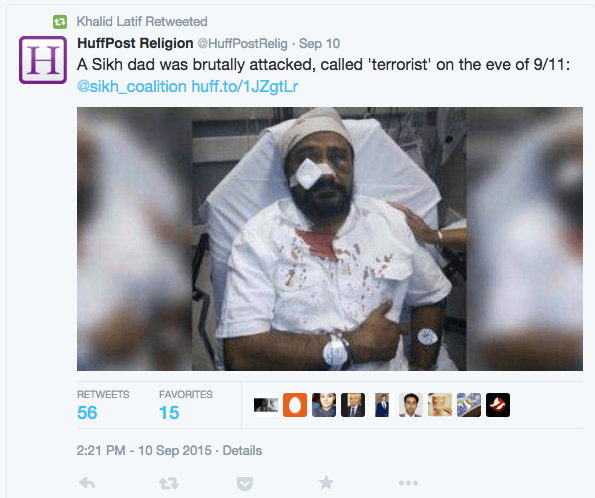 The Sikh was being backed by an activist group, The Sikh Coalition, which also often works with CAIR. Latif did not respond to several messages and emails from Breitbart News. Latif’s police society includes at least 34 police officers. 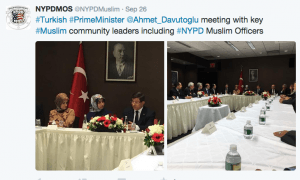 CAIR has long objected to the use of police observation in immigrant Islamic communities — despite the many, many jihad plots hatched by Muslim immigrants — and instead urges police to delegate anti-terror policing to favored, non-elected “leaders” within segregated Islamic communities. 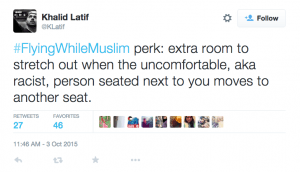 Latif served on the CAIR’s New York board until at least 2009. 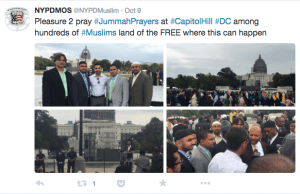 Latif’s sister, Aliya Latif, worked for the CAIR branch in Nw York until at least 2012, as a “Civil Rights Director.” Latif also supports other Islamic groups, including Muslim Advocates, which is also working to hinder the NYPD’s tactics that are intended to detect local jihadi groups. The Irving youth is headlining a CAIR fundraiser in northern Virginia on Oct. 17, two days before he’s slated to visit the White House. Still, the MOS group does endorse some assimilation by Muslims into Americans’ high-trust civic culture. For example, one of the group’s female police officers wears an self-segregating Islamic hood, dubbed a hijab, with her uniform. The hood marks her an observant Muslim, even though her professional duties clash with Islam’s insistence that Muslims must favor Muslims over non-Muslims. That self-segregation was highlighted on the group’s webpage when members participated in Louis Farrahkan’s October demonstration in Washington D.C. Farrakhan preaches a variety of Islam, but emphasizes orthodox Islamic hostility towards non-Muslims and also urges self-segregation. 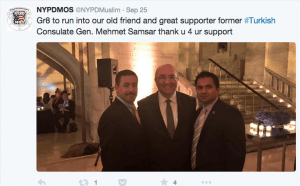 The NYPD group showcased that attendance by Rana and other members at Farrakhan’s hate-filled October rally. The society also jumps into foreign politics. 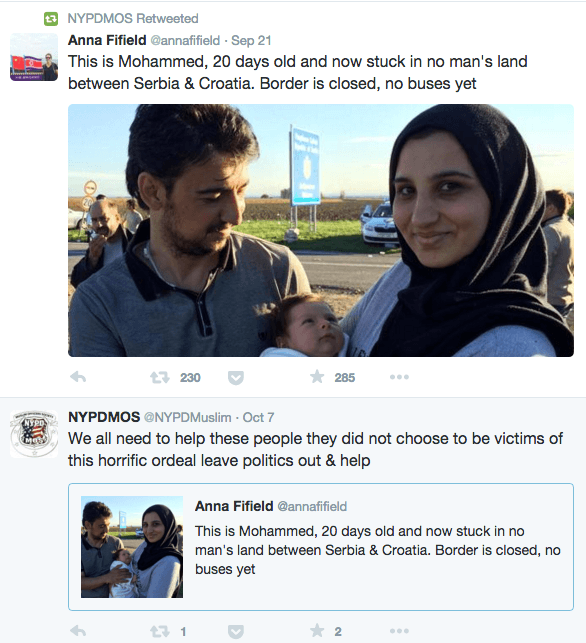 For example, the group is also promoting the migration of many Muslims into Europe. 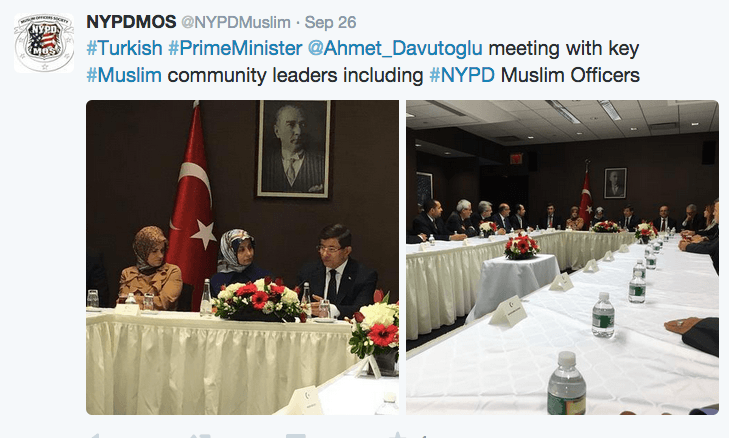 The group also touts its association with Turkey’s anti-democratic Islamist government. Davutoğlu is working with President Recep Erdoğan to roll back the nation’s secular reforms imposed by Mustafa Kemal Ataturk in the 1920s and 1930s. For example, Davutoğlu’s government rules require students to study the Koran in school. He is also trying to reassemble Turkey’s Ottoman Empire, which was destroyed by World War One. “We will again tie Sarajevo to Damascus, Benghazi to Erzurum to Batumi. This is the core of our power,” he said in 2013. The youth is slated to visit the White House Oct. 19. It is not clear if he will bring his clock-in-a-box, or if Obama will choose to meet with him.